Essen 2013 releases I am interested in AKA What should I play at Sasquatch/BGG.con? I haven't done a list like this in a while, and it occurred to me I had no idea what was coming out this year at Essen. 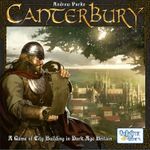 I hadn't heard of a whole lot, and I don't know if that's because there isn't much interesting, or because I haven't been paying as much attention, or because of the endless deluge of Kickstarter titles coming out all the time drowning out news of upcoming Essen releases. Whatever the case may be, I'm heading to Sasquatch and BGG.con next month and I want to know what to look for - what new stuff might be interesting. So far I have a few items I will be on the lookout for, and I'll probably keep them in this list so I can find them later. Feel free to post suggestions, but please don't simply post games YOU are interested in - only post games you think *I* will be interested in! 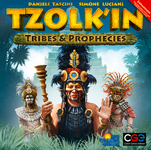 I am a fan of Tzolk'in: The Mayan Calendar, so it follows that I should check out the expansion. I will probably get Tribes and Prophecies eventually anyway, so it's actually a low priority to play it at the upcoming conventions. 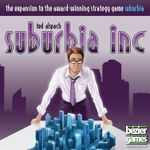 I have and like Suburbia, but I haven't played it in a while. Maybe the expansion will get it back to the table. My friend Wystan has been talking this one up. Between that and a few quick glances at the component pics on BGG and I think it looks interesting enough to try and play at the upcoming conventions. This was on my friend Wystan's list. I'd never heard of it, but the board looks really interesting. I'd give it a play, looks like my kind of game. From looking at the board it reminds me of Magnam Sal with the tiles laid out like they are in the pics. I suppose that's not too surprising in a game about mining... 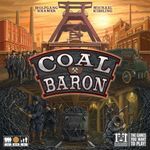 I almost didn't add Coal Baron to the list, but I'm very curious to at least see what that clock thing on the board is all about. That looks a little like the turn order thing from Pillars of the Earth, but upon closer inspection I'm sure it has something to do with time passing or timing of income or actions. I've seen posts about this game, and it looks like one of the popular releases... does that mean it'll be good? Will I like it? I'm willing to try and find out. 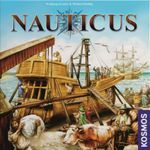 Not exactly an Essen release, but a recent game that I have some interest in. I read the rules and stuff when it was on Kickstarter, and the designer seems like he's got some skills. I look forward to trying this sometime - maybe sometime soon!